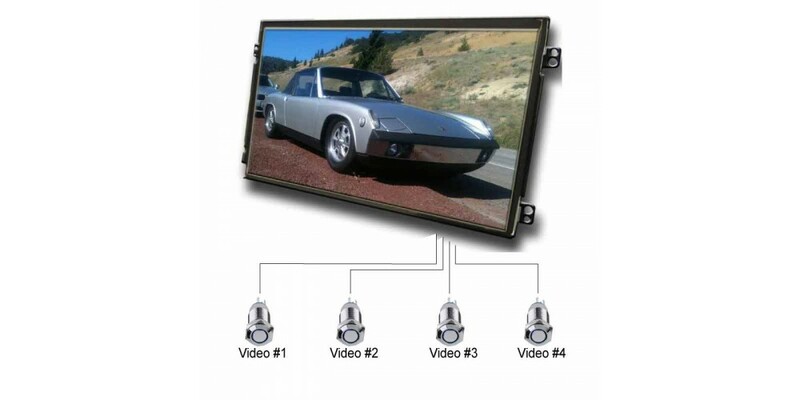 Open Framed OEM 7" LCD Advertising Monitor - IPS Display. Custom Retail Video Displays. The DPL7OF-IPS is a small format high quality IPS 7-inch open framed advertising LCD monitor with internal memory, external SD card input, flashing high quality interactive press buttons (up to QTY-4), optional movement sensor and a customizable software. This is for flawless integration into retail point-of-purchase (P.O.P) advertising displays where there is AC power plug for power. (Optional Battery Powered LCD AD player PN DPLB7OF). The unit has a reliable small format LCD with video player for added promotional value at the point-of-purchase. The advertising monitor will play marketing videos with sound and JPEG image slideshows. 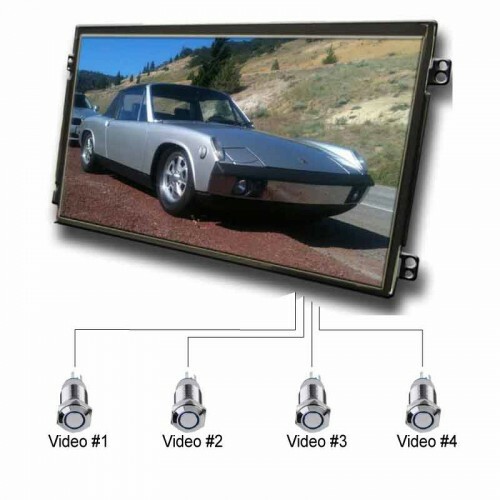 Built for custom marketing displays such as end caps, floor displays and headers, this OEM product is a cost effective digital advertising monitor with a high quality IPS LCD and 1080P media player that does require a wall power outlet. Mounting tabs on this digital ad screen allows for easy integration to your retail display. The quality digital IPS LCD with LED backlight will perform excellent in commercial retail environments demanding a high resolution interactive video playback device.